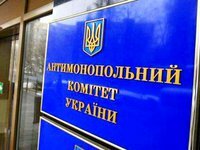 The Antimonopoly Committee of Ukraine (AMC) has permitted Dragon Capital Investments Limited (Nicosia, Cyprus) and The Goldman Sachs Group (New York, the United States) to acquire indirect control over Royal-Rent LLC (Kyiv), the press service of the regulator has reported. As reported, Royal-Rent LLC owns the Kyiv shopping and entertainment center Aladdin with an area of 10,500 square meters at 3a Hryshko Street in Darnytsky district of Kyiv. At the same time, Retail & Development Advisor (RDA) this week on Facebook has reported on the completion of the transaction on the acquisition by Dragon Capital of the Platinum Business Center building, adjacent to the Aladdin shopping and entertainment center, with an area of 4,100 square meters. According to RDA, it acted as a broker in the transaction. The British investment fund Meyer Bergman acquired the Aladdin trade center in 2008 for $60 million. Dragon Capital Investments Limited is part of Dragon Capital group of companies, founded in 2000 and one of the largest in the Ukrainian investment market. It works in the field of direct investment and financial services, provides a full range of investment banking and brokerage services for corporate and private clients.